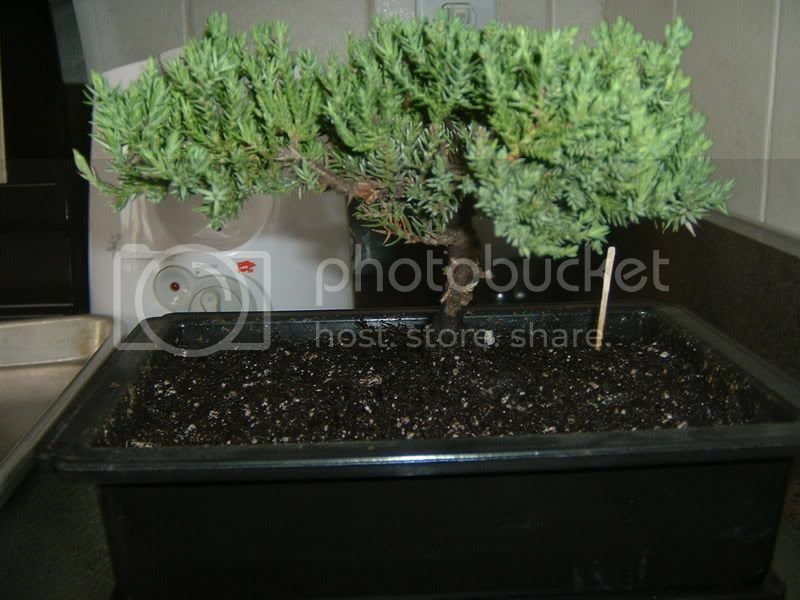 Ok, so i bought a Bonsai Tree from my local Wal-Mart today and was wondering a couple things. The bag-thing it came in said to soak it once a week 3/4 of the way up the pot, using fertilizer only once every 2 weeks. 3. Where can i find detailed information on when/how to change it's appearance using wires? I live with my parents and they are both avid plant growers, but neither of them have ever owned a Bonsai. 4. Is their anything that i might need besides what i have currently in the pictures i provided? 5. 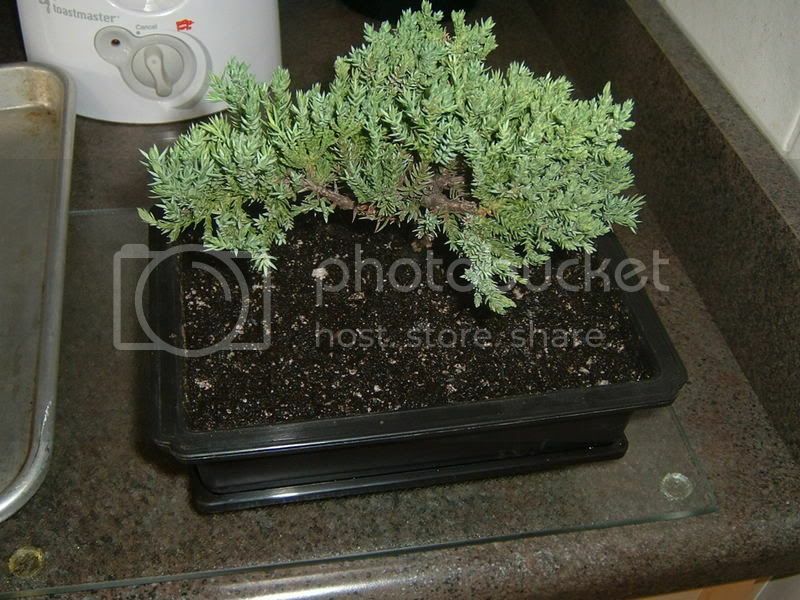 What type of soil, fertilizer and pot should i be looking to get to keep my Bonsai healthy? 6. Is it ok to sit in my room window in the light (but not direct sunshine)? Thanks ALOT for reading, and/or responding. What kind of Bonsai did I purchase? Every employee I asked didn't know and it didn't say on the package. You have a Juniper, not sure of anything more specific than that. 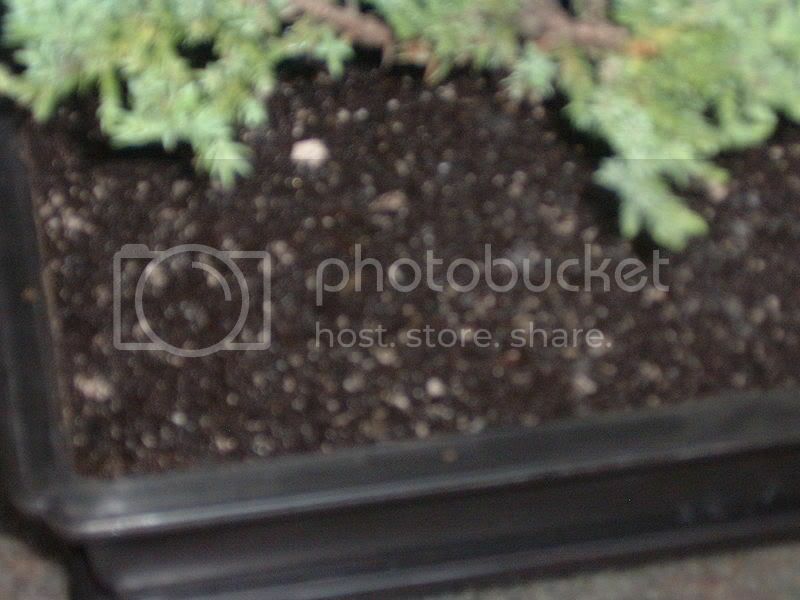 The directions for this type of mass produced bonsai are notoriously vague or often just plain incorrect. Watering by this method should not be necessary and if it is you have other issues. Please read the sticky threads found at the top of the bonsai forum for basic information regarding watering and soil composition. using fertilizer only once every 2 weeks. This is fine for an actively growing plant that is in good health, remember though that fertilizer is not a substitute for good practices, nor is it medicine. 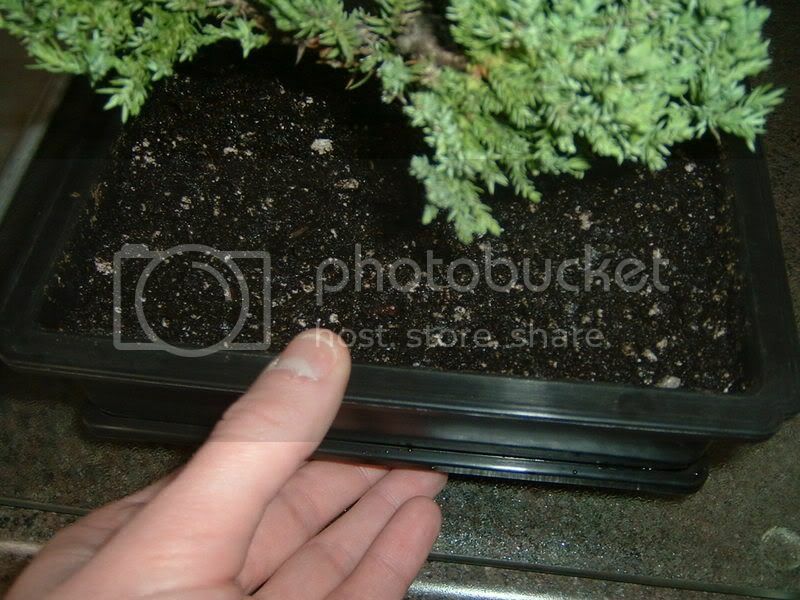 Please don't rush into anything, re-potting will serve no purpose until and unless you have some knowledge of bonsai soils. Again I refer you to the stickies. 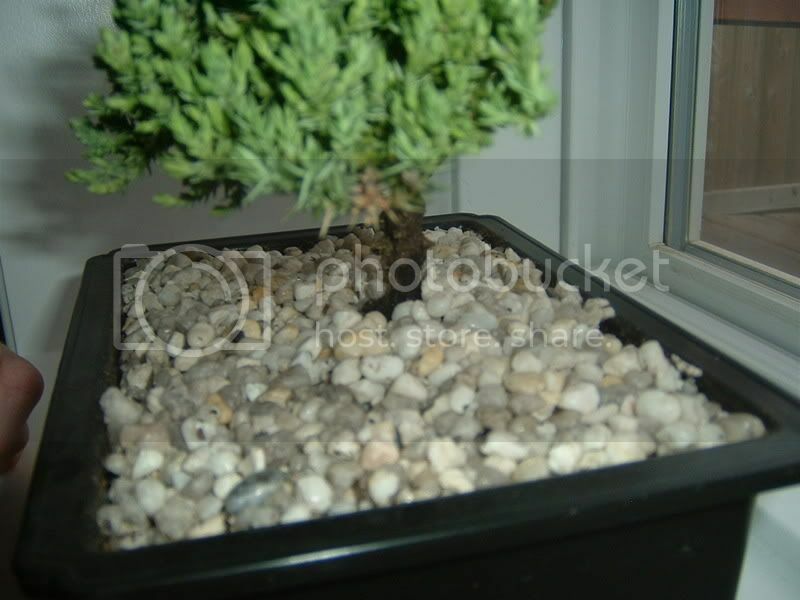 The rocks do not so much "take away" from the plant as impede or interfere with watering, aeration and fertilization. They also make it more difficult to judge the condition and moisture level of the soil. Please remove the glued on rocks and post a picture of the soil. Where can I find detailed information on when/how to change it's appearance using wires? Slow down, this is an immature plant and really will require some years to grow out before such styling techniques are necessary. For now just try to keep it alive and enjoy it for what it is, a learning vehicle. This is not important at the moment, the plants health should be first on your agenda for now. 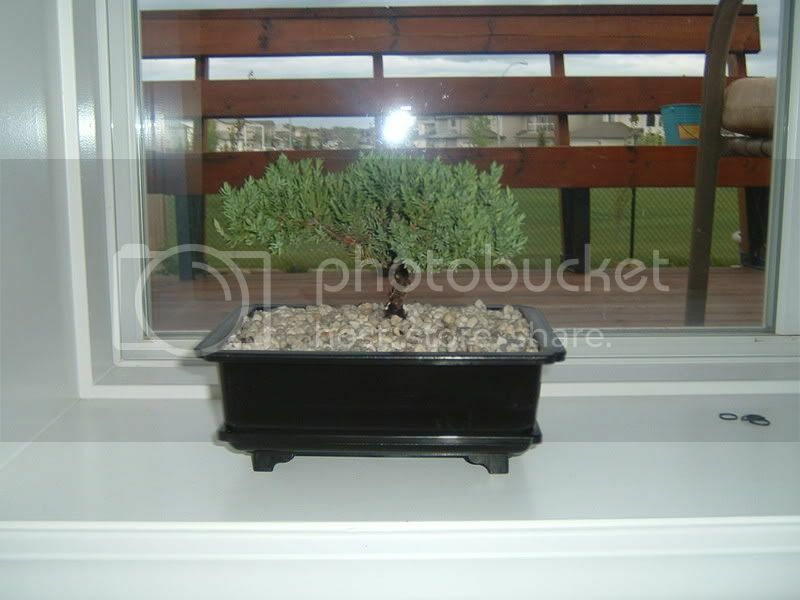 Your parents can help you, while bonsai has some specific techniques it is, ultimately, a potted plant. Is their anything that I might need besides what I have currently in the pictures I provided? After removing the rocks find a spot outside that gets sun in the morning and some shade during the hottest part of the day. Later, after it has been acclimated, it should be placed in full sun. Do this gradually as the tree has been in low light conditions for some time. Is it ok to sit in my room window in the light (but not direct sunshine)? No, it belongs outside. 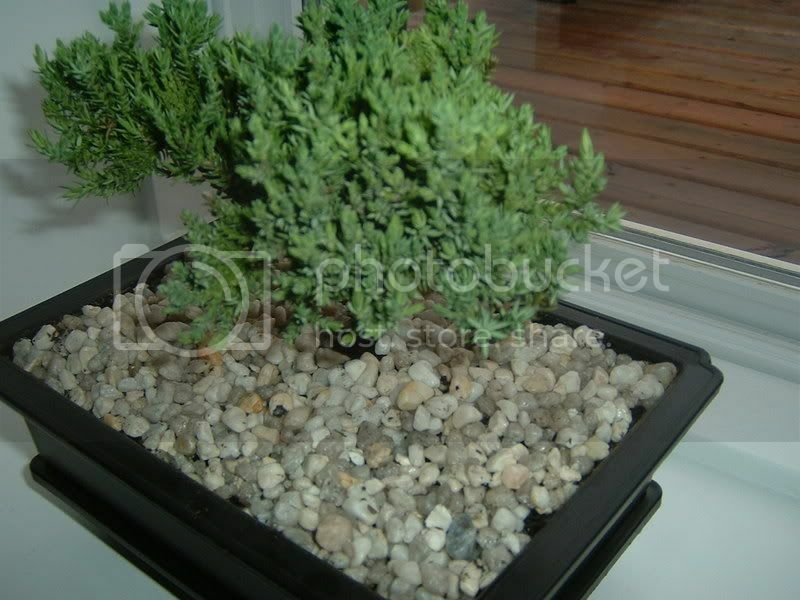 Junipers are ill suited to indoor culture, besides even tropicals should be outside during the summer. Hello, and thanks for the informative post. It's really late here at the moment, and i can't remove the rocks - i will when i getup tomorrow morning. That site you directed me to says to grow this outdoors, but Canada's summers aren't very hot and right now it's probably only 5degrees Celcius outside, with high-wind (so am i being over-cautious to leave it outside overnight?). I was also reading that i shouldn't repot it for atleast 2 years, and like you said i need to keep it healthy before i do anything major. But is the pot it's growing in right now ok? I will have pictures up as soon as possible of the soil itself. But is the pot it's growing in right now ok? Unless the pot lacks adequate drainage it is not an issue now. Your concern is misplaced. Junipers are fine outside, under almost any weather conditions. Some protection can be helpful during winter but there is absolutely nothing to prevent it from staying outside 24/7 right now. My only Juniper spent this last winter in the garden. I slipped the root-ball out of the pot and planted it temporally in the ground. We had a very cold spell here last winter with temperatures dropping to 0F. The tree did not miss a beat. I was also reading that I shouldn't repot it for atleast 2 years, and like you said I need to keep it healthy before I do anything major. You'll probably find that the soil is not that great and a re-pot will be in order but until you acquire the proper soil, or components to make your own, there is little to be gained. Did you read the information regarding watering? This is probably the single most important thing you can do now, learn to water correctly. I have been keeping a toothpick poked through the rocks and into the dirt so that i can (hopefully) keep track of the moisture levels, and can figure out when to water it. Edit: IF you notice the soil in the pictures, it's really damp... should i even water it today? I think the glue-rocks were keeping in alot of moisture, and i dumped out the bottom tray that hold any excess water and their was very little. Then perhaps you should re-read the stickies and follow the links. It is all there. 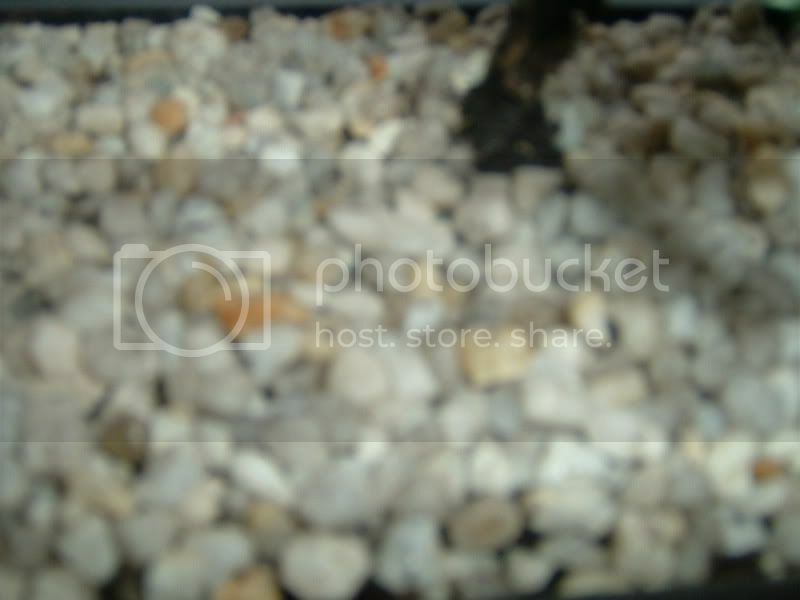 I just took off the layer of glued together rocks and I kind of poked my finger into the soil a bit - it's really wet my finger actually had ALOT of water on it, IF you notice the soil in the pictures, it's really damp... should I even water it today? I think you know the answer to that question, but to keep thinks simple, NO. Of course it was, that is one of the reasons I suggested that you remove it. It should dry more readily now. Yes the soil is, as I suspected, entirely inappropriate. The white particles are probably Perlite, a good component but not nearly enough to be effective. A re-potting will be in order but not now. Re-read the stickies, paying particular attention to watering and soils. We'll be here when you have more questions. I just re-read the watering stickies. They say to thouroughly soak the soil then let it drain for 10min, then repeat. But since my soil is already heavily wet, and you suggested i don't water it again, then this will have to wait till another day. Im going to leave it outside and check everyday if it needs to be watered. Im also going to print off the stickies list, and the page you directed me to about basic tips, and read them in hopes of understanding everything a bit better. I gave my Mom instructions not to water it, and to leave it today in the sun on our deck. Im going to read up a bit more on soil compositions, so that when i do need to move it that i have ready soil. Im just wondering the soil that it's currently growing in you said isn't very good, if i made a mixture - do i repot it or just replace the soil itself and keep it in the plastic container? I'm going to try my best to read up more on how to care for my Tree. Correct, just as important as how to water is when not to water. It can be difficult, I know, but try to curb your inclination to pamper the tree. It will do better under a regimen of benign neglect. In other words first do no harm, then meet its basic requirements and let it be. Traditionally, it is said in Japan, that it takes several years just to learn to water properly. If you overlook this basic skill you will kill your trees. If you stay with bonsai it can become a life-long endeavor and you WILL kill trees, it is inevitable. That is how you learn, by your mistakes. It is your tree, you take responsibility for it. Too many cooks spoil the soup. A sudden move into full sun may not be fatal but I think I would ease into it. Slow down, you will have this tree for years/decades if you don't kill it first. here for inspiration. If your only exposure to bonsai is the type of trees you have seen at box stores you will be amazed. It seems to be doing ok outside, it's been out in shady/sunny area. 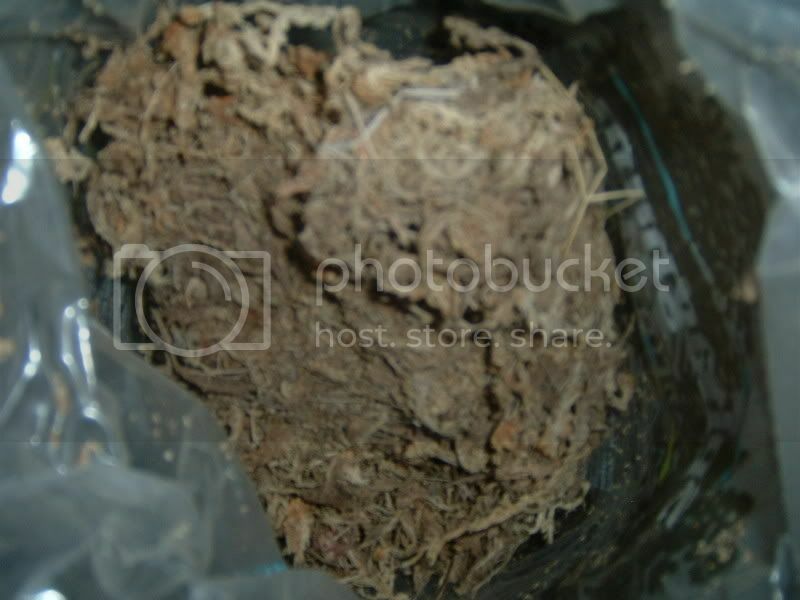 Im just wondering, do most or all Bonsai start in this soil? I haven't needed to water it yet, the soil is still really wet..
And was wondering if any of these are beneficial to my situation. I'm trying not to move to quick, but won't it die in this soil? Much better than inside, at least now it has a fighting chance at survival but you are not out of the woods yet. 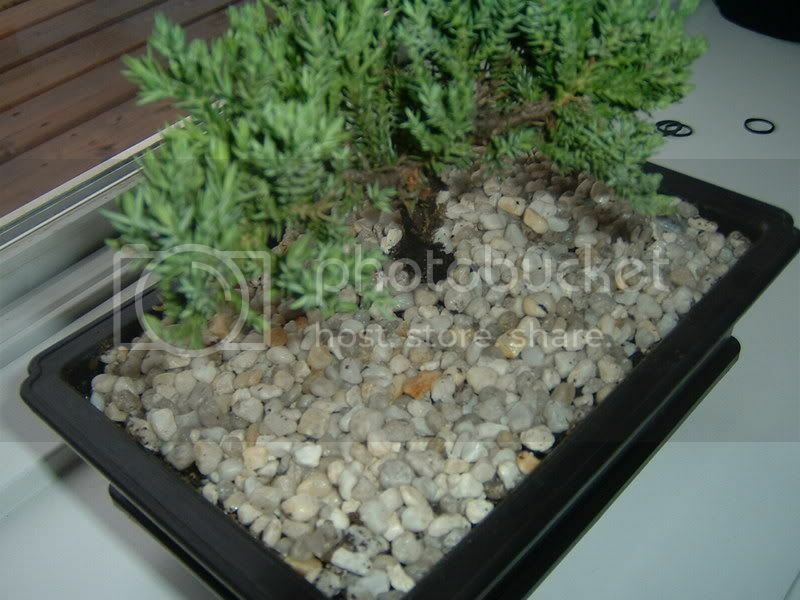 No, this is typical for the type of mass produced bonsai that are sometimes referred to as 'mallsai". 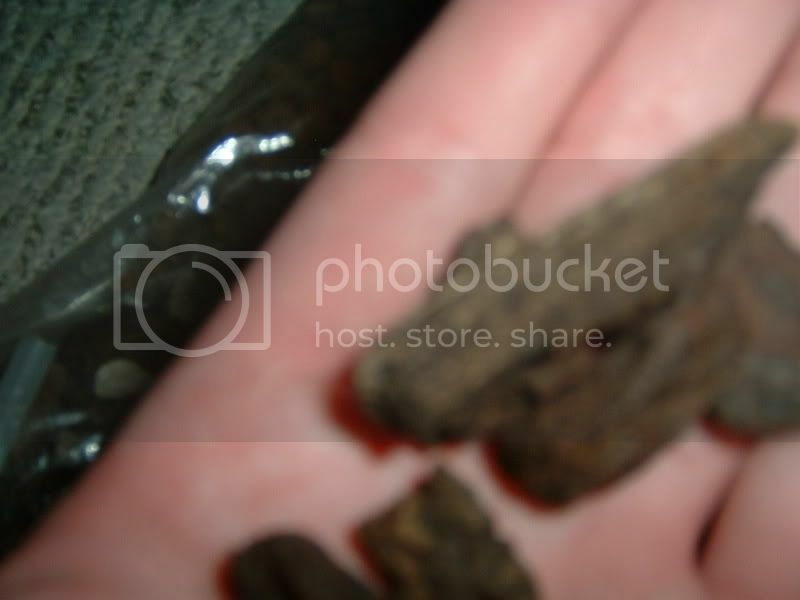 Young material potted prematurely into bonsai pots, intended to appeal to the uninformed. Not trying to be rude here, just honest. Many people have their interest kindled with similar trees. Some give up and some move on to better material. It is bad that it is in such a state but good that at least you realize it. Don't rush the next watering but don't let this soil dry out entirely either, due to the high peat content it can then become difficult to re-wet. Glad to hear that you are taking some initiative, the success of your tree is in your hands not ours. 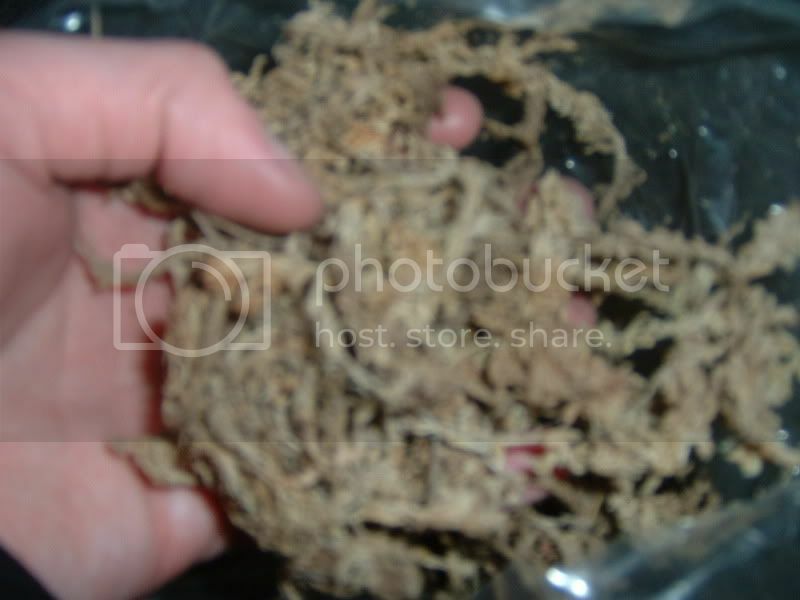 Is the Sphagnum Moss long fibered and coarse? If so it may be of some use to you in the future. My Juniper is in a nearly 100% inorganic mix that drains exceptionally well. Not sure what the "Hydraphonic rocks" may be, perhaps "hydroponic". 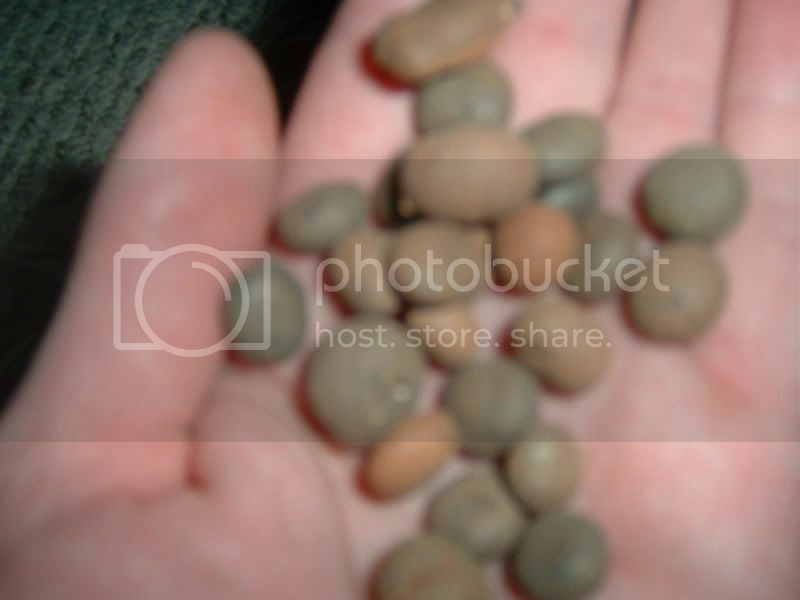 If they are small rocks or gravel they may also be useful. 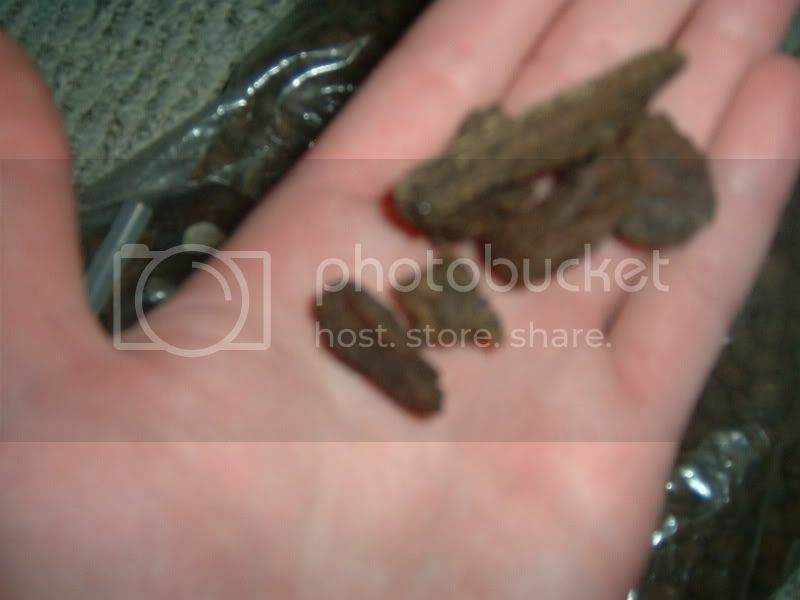 The Orchid chips are bark, I assume, if so they too may have a place in a bonsai medium. Although the size may be inappropriate this can be remedied. If you post some pictures it may help us help you to decide. It is possible to mange it in the soil it is in but it is true that it will be more difficult than if it were in a good free draining mix. You say that it is still pretty cool in your area and summer has not really kicked in yet? You may still be able to re-pot it this year, keeping in mind that you may experience problems. I assume your parents have experience re-potting other plants, perhaps they can help you. Your help has been extremely valueable. Iv read that most 'mallsai' are extremely hard to care for and usually end up dying . Have you ever owned one that has been alive for a long time? I read that: Akadama, Peat, Bark and Kanuma have worked for others. I really want to keep this tree for as long as possible - and if worst comes to worst, and it does die - find a better species or nursery (Walmart haha?) to buy one from. Every time I have checked into this thread there was nothing to add due to Gnomes awesome contributions... . I will just comment on where we are at now. It is not that they are hard to care for in any respect, It is perhaps more accurate to say that often they are neglected beyond saving [Terrible living/shipping conditions] before you even get them. (. Have you ever owned one that has been alive for a long time? I've never had one for more than a year or so, People used to give them as gifts to me [Until I talked them out of it ~" Please, Don't do that!" ... ] and I would pass them on. Their life expectancy is entirely reliant on the owner, Like all bonsai. The moss looks fine to me [If chopped up a bit]. Are the rocks absorbent? They seem too large to me. The bark is definitely too large but you could fix that easily enough. Skip the peat entirely, Kanuma & Akadama are an ex$pen$e that you may not want to get into as of yet. Both are fine ingredients though Kanuma is primarily used as an inorganic component for trees that prefer an acidic soil. As Gnome pointed out you WILL kill trees, Everybody does. Consider it your tuition and try to learn from it. When shopping for bonsaiconsider this. Hey, Thanks again for responding. Your help has been extremely valueable. Other than usually being young, there is nothing inherently inferior with 'mallsai', they are just plants after all. Problems arise from several sources, inferior potting mixes, inadequate instructions, poor care both before and after the sale to name a few. These shortcomings can usually be overcome. Of course your tree will probably never become one of the fine old Junipers you may have seen, but it can still be a valuable learning tool for you and a good introduction to bonsai. Have you ever owned one that has been alive for a long time? No, not exactly, but I do have a Chinese Elm that was probably mass produced, just a little further along when I bought it. The components you have shown are not ideal, the moss has its place in bonsai but most people would not use it for Junipers. The rocks are too smooth and regular but could probably be used in a pinch. The bark is a bit on the large size but you can reduce it in size. It might be a PITA but since you only need a bit, no big deal. All of those components have a place in bonsai culture and have been used by others. I avoid imported products because of their cost, there is no reason that domestic products cannot be utilized. Whatever you can get locally. Seriously, when mixing your own soil in bulk one of the most important considerations is availability. 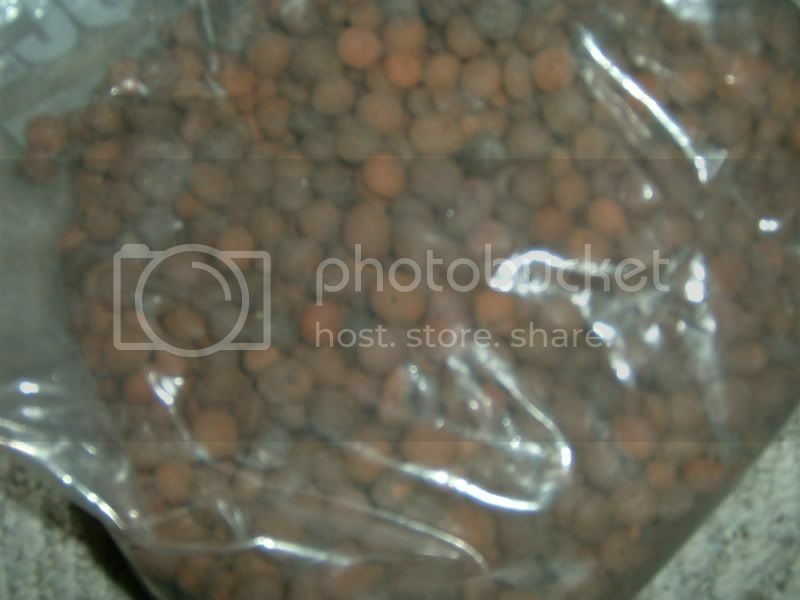 I have been using Haydite recently, because that is what I could find locally in bulk. I have also used Turface MVP in the past but shipping was high. I am also using lava rock. A typical mix for me might be 4 parts Haydite, 4 parts lava, and 2 parts bark. This of course is adjusted according to the species. For instance I have included moss in place of bark for Azaleas, and my Juniper is in a nearly 100% inorganic mix with just a touch of bark. Honestly though it will be a lot easier on you to purchase it ready-made, it can be difficult/impossible to locate locally so it is usually purchased on-line. Here are a few suppliers of components and pre-mixed mediums. There are many others, including E-Bay, but I have dealt with these two before. If you intend to re-pot this year I suggest you move quickly. I would like to repot it because i believe that it doesn't have enough drainage in the pot it's in right now. I'm going to check out my local greenhouse tomorrow and see if i can obtain some of the supplies to mix that you guys have suggested. I have no clue how to repot it properly though, and iv heard this is one of the toughest parts..
For now, the pot was dry the toothpick i stuck in came out pretty dry - so i gave it a watering - holding it out to see how it's draining (which is barely is) this will be it's first in 2 days. 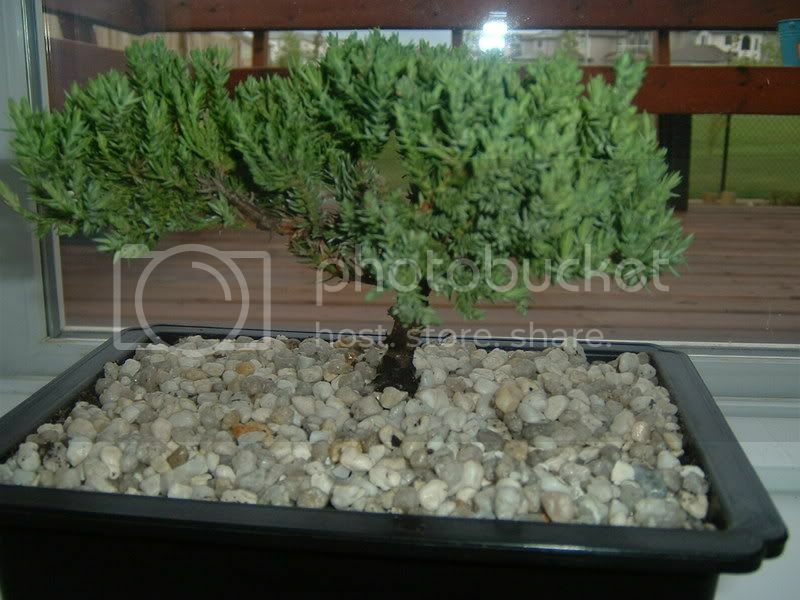 I'd like to obtain a new Bonsai that has a better chance of living, but honestly otherthan my local greenhouse, i don't have a clue where i can get one. I guess ill re-read the stickies on repotting, and hopefully i can do it successfully. This new hobby of mine is turning into an obsession - and i don't wanna get attached to a poorly cared for plant like the one i have. Did you read the link in my previous post? I assure you it is easier to do than to describe. Too bad... It happens .